The Cremona Maestro Series SV-1500 features a back of highly figured select maple, with sides and neck to match. The top is a beautiful, fine quality aged spruce. Outstanding workmanship, evident in every detail, makes this a wonderful choice for many discriminating musicians. The SV-1500 violin is a truly professional instrument, made by master artisans in the time honored tradition of the classic Italian luthiers of 300 years ago. 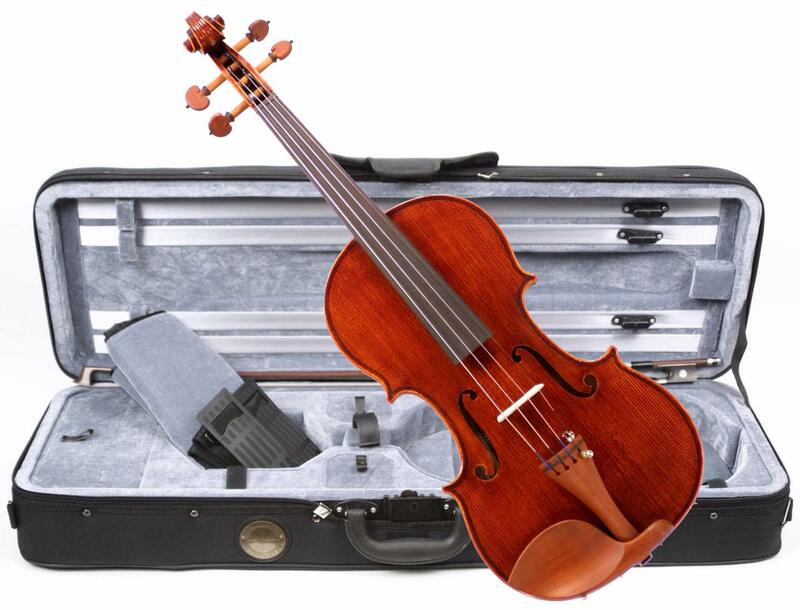 The workmanship is outstanding and the tone is suitable for both solo and orchestra work. The top and back woods are well-aged and stable before the master luthiers begin their work. The hand carved-and-graduated spruce top is over 100 years old, beautifully finished in a classic "antiqued" brown varnish. The fittings are dark, Hill style boxwood with yellow accents. The nut and fingerboard are ebony. The select, well-flamed back, with matching ribs and neck contribute to the beauty and sound of this instrument. The result is a mature, even, pure tone right out of the box.